In 1968 newlyweds Lucy Moore and her husband moved from Cambridge, Massachusetts, to Chinle, Arizona, where he had taken a job with the recently created Navajo legal services program. They were part of a wave of young 1960s idealists determined to help others less fortunate than themselves. After fulfilling the two-year commitment with the legal program, Lucy and Bob stayed for another five years. 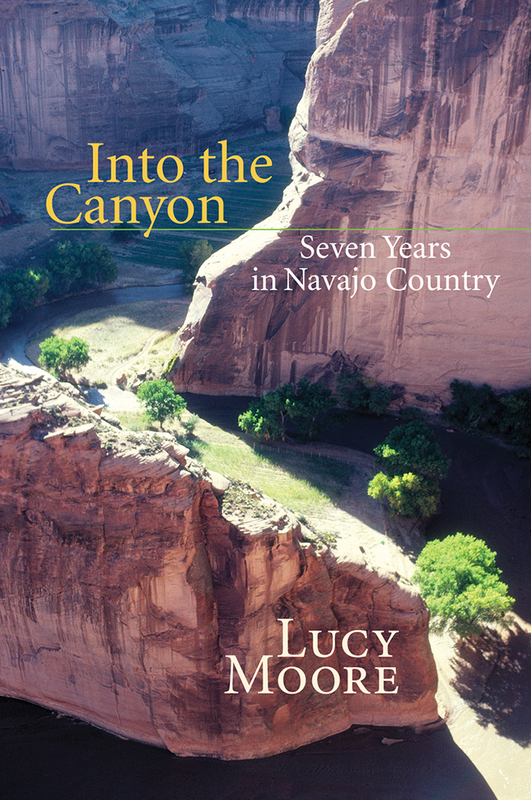 Into the Canyon is her account of the places and people they came to love and the lessons they learned from their Navajo neighbors. Lucy Moore is a facilitator and mediator specializing in public policy, environmental, and cross-cultural issues. She lives in Santa Fe, New Mexico.